More AEC companies are now providing virtual reality presentations of construction projects—even those jobs that are merely in the conceptual phase and not yet sold. Many have found this way of communicating helps boost sales, streamline workflows, and increases trust, collaboration and knowledge with project owners. Being in the built scene, even virtually, is providing many benefits on all sides and AEC pros want to know more about the technology. Jeff Siegel specializes in the implementation of spatially focused information systems and related technologies. He led the creation of the technology services practice at HNTB, and his stewardship has helped the practice grow over the last 14 years since its creation. Now, HNTB’s Technology Solutions Center is the company’s center for excellence for IT and related services provided to clients. 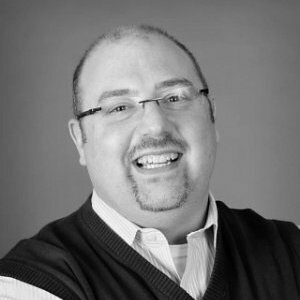 A speaker at the upcoming AEC Expo, Siegel will give his presentation on Data Visualization/ Virtual Reality Applications. His talk will cover emerging uses for augmented and visual reality, advancing point clouds for VR, virtual and augmented reality innovations, and 3D scans/point cloud accessibility. AEC Next News caught up with Siegel recently to chat about AR/VR, real world applications of such technology, how virtual reality has changed the way we do business and more. AEC Next: What can folks learn from your talk? Siegel: The realm of applying AR/VR and mixed reality on infrastructure projects and public-sector enterprises is an emerging trend, as the software and devices are becoming more accessible to more people. I want to share some of the ways my digital innovation team is helping others use the technology to improve work. How is something as technical as virtual reality relevant to the less technical professionals who will be attending his event? I think even the less technical audience will be interested in the real-world use cases or applications of the technology. Beyond the typical virtual reality use of helping stakeholder better experience a project before it gets built, we are starting to use the technology with our clients in new areas such as land acquisition, utility relocation, and public involvement. How has virtual reality changed the way you do business? It allows stakeholders an interactive experience and personalized geospatial understanding of a design (before it gets built); as well as AR providing that experience meshed with the real world. 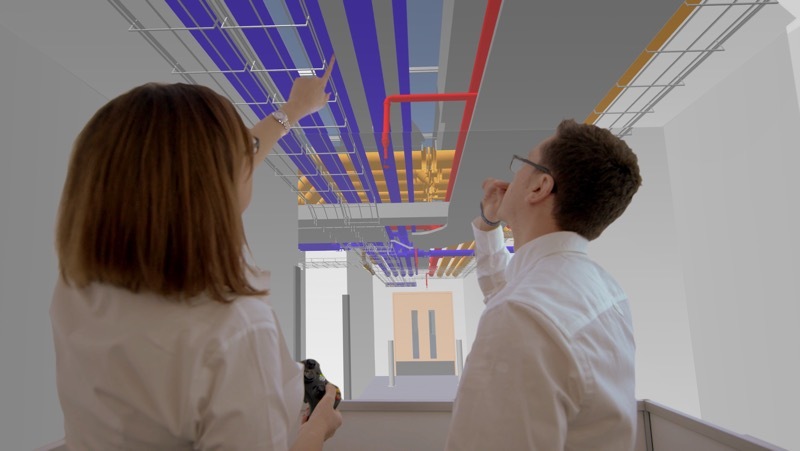 Our firm also turns to VR within the proposal process to help communicate innovative design concepts or techniques our design professionals will take in delivering a specific infrastructure project. Why are augmented reality and virtual reality so relevant these days? How is it helping to solve problems in the workplace? Our clients and projects often engage my digital innovation team when they look to technology to bring greater transparency to the work they are doing as well as business efficiencies. VR/AR and mixed reality are a perfect fit for workplace needs because they provide greater transparency, which improves stakeholder understanding, as well as knowledge of designers, project sponsors, and the public. How does such tech create greater efficiencies in the workplace? It creates greater efficiencies, such as conflict detection and increased understanding of existing and proposed conditions. Using this technology amounts to fewer field visits, and it also enables managers to see what field workers see in the field, from in the office. The tech also provides enhanced field data collection. For more on this topic, be sure to catch Siegel’s presentation at AEC Next, which will be co-located with SPAR 3D on May 21-23 at the Anaheim Convention Center in Anaheim, CA.